Ms. Larsen practices in the Firm’s litigation section with a focus on personal injury and commercial litigation. She has extensive experience representing Fortune 500 and other corporate clients in disputes involving products liability, personal injury, insurance coverage, all areas of transportation law, medical malpractice and commercial real estate matters. Products Liability. Ms. Larsen has defended major manufacturers and distributors in products liability litigation involving a wide variety of products from medical devices, pharmaceuticals, nutritional supplements, recreational equipment, heavy equipment and machinery, consumer products, elevators and escalators, chemicals, asbestos, heavy duty trucks, automobiles and automobile parts, and personal watercrafts. She has successfully obtained summary judgment in her clients’ favor on issues involving preemption, statutes of limitation, the economic loss rule, and the passive distributor doctrine. Transportation Law. Ms. Larsen defends transportation clients in catastrophic injury, personal injury, wrongful death, cargo claims involving the Carmack Amendment and property loss claims and lawsuits. Ms. Larsen is always on-call to assist clients in the first minutes and hours after a serious trucking accident and our transportation law group has a multi-disciplinary team of accident reconstruction experts and other consultants available to protect the client’s interests from the very outset of a liability claim. Ms. Larsen also has significant expertise in representing transportation clients in insurance coverage issues. Typical issues include priority of coverage between insurance contracts issued to a carrier as opposed to an owner/operator of a leased vehicle, self-insured retention issues, the interpretation and construction of the MCS 90 endorsement and related federal regulations. Ms. Larsen assists clients in the formation and interpretation of transportation contracts, including indemnification clauses, tenders of defense, insurance coverage, contract law, principal-agency, liability of brokers and shippers, and punitive damages. Insurance Coverage. Ms. Larsen represents policyholders and insurers in a wide variety of first and third party insurance coverage disputes including complex commercial coverage litigation involving multimillion-dollar exposures, directors and officers liability, professional liability, commercial general liability coverage involving construction defects and additional insured coverage, personal and advertising injury coverage disputes involving defamation and other intellectual property claims and business torts, and allocation and priority of coverage claims involving multimillion dollar disputes between carriers and self-insurers. Personal Injury. Ms. Larsen has represented clients in a wide variety of personal injury claims including wrongful death, catastrophic injury, premises liability, and automobile cases. Commercial and Real Estate Litigation. Ms. Larsen has handled a broad range of commercial real estate disputes and substantive issues including breach of real estate contracts, mechanic’s liens, foreclosures, title and escrow disputes, lender liability claims and landlord/tenant disputes. She maintains an AV Preeminent (4.7) rating with Martindale-Hubbell, which is the highest rating awarded to attorneys for professional competence and ethics. Ms. Larsen has been selected for inclusion in Mountain States Super Lawyers (2011, 2016 and 2017) in the categories of Personal Injury Products: Defense and Personal Injury: Defense, and has also been voted by her peers throughout the state as one of Utah’s “Legal Elite,” as published in Utah Business Magazine (2006, 2010, 2012-14, 2016-2017). 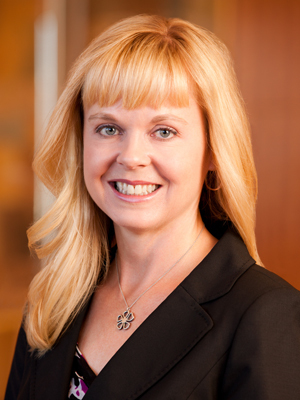 Ms. Larsen serves on the firm’s Finance and Recruiting Committees.